This cycling tour takes place Saturday, June 15 in downtown Sierraville. Riders are treated to quiet roads through Sierra Valley ranchlands, meadows, and historic communities. There are no mountain passes to climb on this tour. Any elevation gains are mild. Three distances are offered. 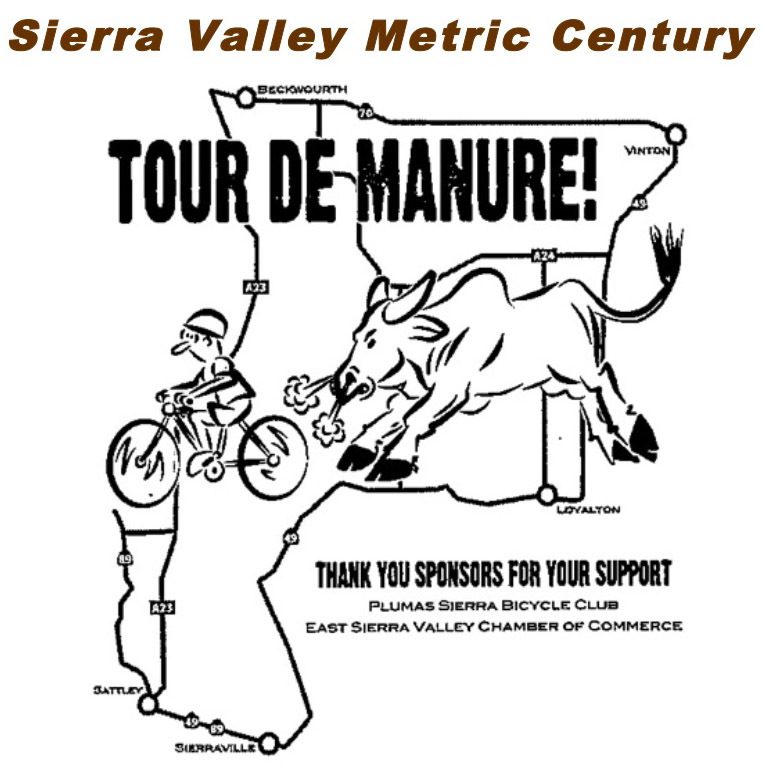 The big manure offers a 62 mile loop and the shorter manure is 42 miles. The shortest course is an out-and-back of 30 miles for riders that poop-out easily. All three routes are supported with food, drink, and SAG wagons. There will be a post-ride party with food and live music. 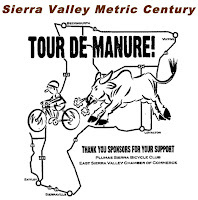 The Tour De Manure benefits the Sierraville Volunteer Fire and Rescue. You can register on-line or on Saturday morning at the fire house in Sierraville. The price is $60 dollars.